Truffles have long been prized for their rarity, and for the rich, earthy flavors and aromas they lend to dishes. 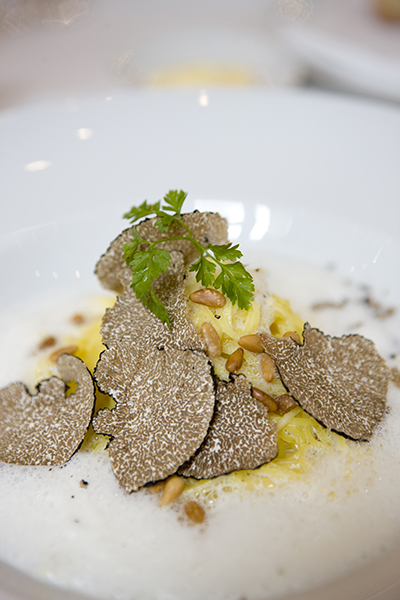 The 4th Annual Napa Truffle Festival celebrates this esteemed fungus January 17 – 20, 2014, with seminars, wine and food pairings with Michelin star chefs, cooking demos and a Truffle Festival Marketplace. One of the exciting events in the lineup is a pairing lunch at Nickel & Nickel, with Executive Chef Trevor Eliason and Michelin star guest chef Carrie Nahabedian of Chicago’s NAHA. To receive your 20% discount for the Nickel & Nickel Winery Truffle Lunch, simply click on the festival’s tickets page, select the lunch, then scroll down to ‘Enter promotional code’ and enter the following code: nickel-lunch. Additionally, if you would like to attend any of the Napa Truffle Festival programs throughout the weekend, January 18-19, you will receive a 10% discount. The same instructions apply for the following code: nickel. These special offers expire December 22, 2013. For more information about the Napa Truffle Festival, visit: www.napatrufflefestival.com.